Set in a highly engaging and collaborative atmosphere, the Independent Impact Summit will examine a number of key areas that independent grocers and their trading partners are currently facing and future issue likely to impact their business. When looking at food retail across the globe, there are clear indicators that the industry is changing at an accelerated pace. We’ll take a look at the macro trends impacting the grocery industry and the market as a whole, from the growth of e-commerce, impact of discount retail and innovative new formats, and how this is affecting wholesalers and manufacturers in the industry. We will provide examples of a wide range of innovative concepts from brick and mortar to pure-play retailers and everything in between, showcasing best practice examples from around the world. 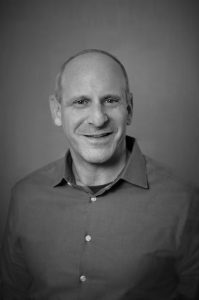 Neil Z. Stern is a senior partner of McMillan|Doolittle specializing in the area of strategic planning and the development of new retail concepts. During his career at McMillan|Doolittle, Neil has developed strategies and new concepts for a diverse variety of world class clients across the retail industry. Neil is also recognized as a key thought leader in the retail arena, serving as editor of Retail Innovations, an annual global overview on the retail trends and is a regular contributor to publications such as Forbes. Neil has been named one of the 40 Rising Stars in Retailing by Chain Store Age and is the author of two books, Winning At Retail and Greentailing and Other Revolutions in Retailing. Neil currently serves as Chairman of the Ebeltoft Group, a global alliance of leading retail consultancies. The U.S. spends more than $1 billion every year trying to improve employee engagement, yet we haven’t moved the needle in years. Why? Because we’re solving the wrong problem and using the wrong data. In this practical session, Jamie reveals the key connection between culture and engagement, and explores how more nuanced data related to the employees’ experience of workplace culture are more likely to lead to changes that move the needle than traditional engagement data are. He’ll present a model for understanding and analyzing culture along with concrete advice for creating a practical “Culture Playbook” that delivers results in both the short and long terms. Jamie has been consulting and speaking for organizations since 2001. Before that, he worked in the field of international conflict resolution, and he leveraged that experience into a successful management consulting practice, specializing in nonprofit trade associations and professional societies. An early adopter of social media, Jamie has been actively blogging since 2005, first here on this site (though long-time friends will remember www.getmejamienotter.com) and now on several other popular blogs and on LinkedIn. Jamie was a pioneer in articulating the potential of social business, connecting the principles of social media with innovative practices in leadership and management. His book, Humanize, co-authored with Maddie Grant and published in 2011, garnered industry attention for its foresight and comprehensive approach to building organizations that are more compatible with today’s digital age. After the release of Humanize, his speaking career took off and his consulting work became more and more focused on organizational culture. In 2014, he and Maddie started consulting together through their company, Culture That Works LLC, and a year later they published their second book—When Millennials Take Over—which ties together several different threads of their combined 35 years of experience into a short but powerful guide to creating organizations that will thrive in these revolutionary times. 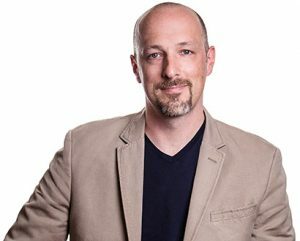 Jamie holds a master’s degree in conflict resolution from George Mason University, and a Certificate in Organization Development from Georgetown, where he serves as adjunct faculty. Jamie lives in the Washington, DC area. The International Food Information Council (IFIC) Foundation will share new research on food and consumer trends, diets and health. Data will include findings from IFIC’s annual Food & Health Survey as well as a 2018 report focused on the diets and food attitudes of lower-income Americans. The IFIC Foundation will also highlight key insights from a study examining the use of technology among older Americans when shopping for food and another recent survey on public attitudes toward the USDA’s proposed bioengineered food disclosure methodology. In her role as Associate Director, Nutrition Communications, Allison (Ali) Webster, PhD, RD, is responsible for developing and managing nutrition science-focused communication programs for consumers and health professionals. In 2017, Ali joined IFIC from the University of Minnesota, where she conducted research on the effect of diet on the gut microbiome and worked as a Registered Dietitian counseling patients with gastrointestinal conditions. She has also served as a Science Policy Fellow for the American Society for Nutrition from 2016-2017 and in 2015 was the recipient of IFIC’s Sylvia Rowe Fellowship. 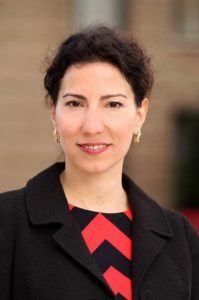 Ali is very active in the nutrition science community and is currently the Secretary for ASN’s Nutrition Translation Research Interest Section and a member of the ASN Public Information Committee’s advisory board. She holds a PhD in Nutrition and a Bachelor’s of Science in Nutrition Science, both from the University of Minnesota, and completed her dietetic internship at the University of Minnesota Medical Center. With her background in nutrition research and clinical care, experience in public policy, and passion for communication, her goal is to effectively understand and meet the needs of a diverse array of audiences. Silvia Dumitrescu serves as Vice President, Communications, for the International Food Information Council Foundation working with subject-matter experts and the communications team to raise awareness and understanding of food science. She leads internal and external communications, including digital strategy, media relations, and issues management. 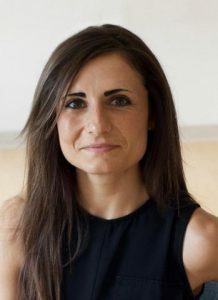 Additionally, Silvia leverages her previous work in technology and innovation to lead the food production expert team. Silvia holds an MBA from American University and an executive leadership certification from Columbia Business School. She serves as an advisory board member for the Center for Public Issues Education in Agriculture and Natural Resources at the University of Florida. Also, Silvia is the founder and chair of the Women Leadership Forum at the Washington Network Group, a mentorship program that supports women in their pursuit of high-level executive and board positions. Disruption is abound in grocery retailing. Although innovation takes many forms – from advances in ecommerce to new consumer engagement platforms, it is driven by one thing: data. Retailers who put data to work with the most impact are in the best position to stay ahead of the pack. In this session, Inmar explores the ways in which data is transforming the retail experience (online and off) by driving assortment decisions, streamlining operations, optimizing digital promotions, and exposing shoppers to a whole new level of personalization. Inmar also reveals how grocers in the independent space can make advanced analytics more accessible to strengthen collaboration with CPG partners, achieve sustainable shopper loyalty, and stay competitive in today’s omni-commerce retail environment. Craig Rosenblum has nearly 30 years fast moving consumer goods and retail experience. As a Senior Director, Enterprise Retail at Inmar he leads business development strategy and expansion. His expertise encompasses strategy development and tactical deployment in the areas of supply and demand including Merchandising, Marketing, Operations, Category Management, CPFR, and Activity-Based Costing. 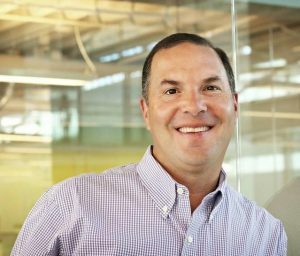 Prior to joining Willard Bishop, Craig led business development efforts for Prescient Applied Intelligence, was a partner at Milton Merl Associates, lead non-broker services at Crossmark and early on in his career new product development and engineering at Avon and P&G. In his spare time Craig is a frequent speaker at industry leading events such as Grocery Manufacturers Association (GMA), and California Grocers Association (CGA) and has been published in Progressive Grocer, Supermarket News, Drug Store News and GMA Forum. As well as supporting the North Texas Food Bank and SPCA. His B.S. degree in Packaging Science & Technology is from Rochester Institute of Technology.